Park View 2 is a newly built house with views over Kirkwall and beyond. Our house is two-storey, semi-detached and is situated just opposite the Bignold Park, an important recreation space for Kirkwall. Upstairs are two bedrooms (one double, one twin) and a bathroom. Both bedrooms have large fitted-wardrobes and the front bedroom has a splendid view over Kirkwall Bay. A glance through the stair window will keep you up to date with cruise ship arrivals! Downstairs there is an entrance hall, good-sized living room and kitchen/diner as well as a large bathroom with walk-in shower. 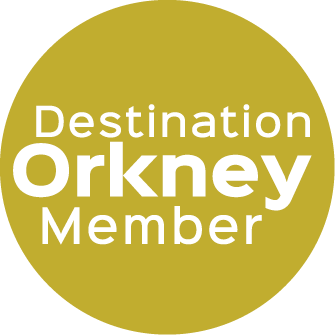 Park View 2 is an ideal base for exploring Orkney. Kirkwall town centre is a 10 minute walk. Several bus services pass by (or close to) the house during the day. There is a small convenience shop nearby, and the new theatre in Kirkwall Grammar School is only a few minutes away. An environmentally-friendly air source heating system supplies comfortable warmth to all parts of the house. The well-equipped and roomy kitchen has an electric hob and oven plus a range of appliances including a slow cooker and blender. The dining table comfortably seats four people and there is a radio/CD player so that you can listen to Radio Orkney as you have your breakfast! There is convenient parking in front of the house and an outdoor drying area with a rotary clothes line. Sorry, we do not accept dogs or other pets.